Drawing from expressionist influences, Danielle uses vibrant colors in her paintings, along with impasto technique, to create “portraits” of her innermost feelings. In her photographs, she attempts to capture the same deep emotions, preferring the simple contrasts of black and white photography to bring out the colorful spirit of her subjects. Danielle creates her work, among a community of artists, at the Studios at Porter Mill, in Beverly, MA. Check out Danielle's work on display for the entire month of July. For full press release and directions to the exhibit, click here. Congratulations Danielle! Did you get a chance to visit Porter Mill's booth at Beverly Arts Fest? We had a great display that really showed the diversity and talent of the Artists at Porter Mill. We also made a lot of new friends - the positive response to our mission was incredible! 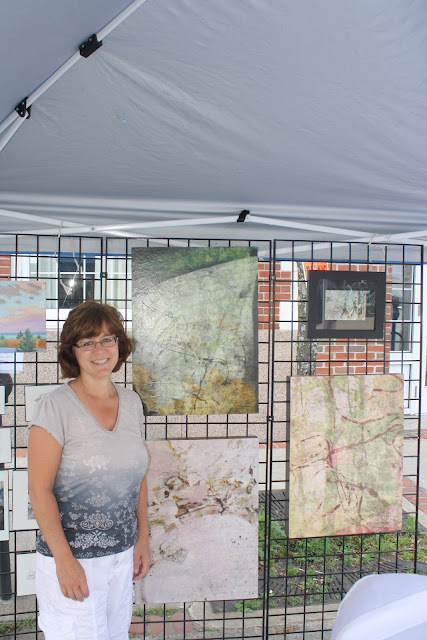 Artist Christine O'Brien with her paintings. Lots of business cards and information on our artists. Special thanks to Christine O'Brien, Dan Wagner, Jesse Potwin and Danielle Dugan for all of their time and help setting up and manning the booths. 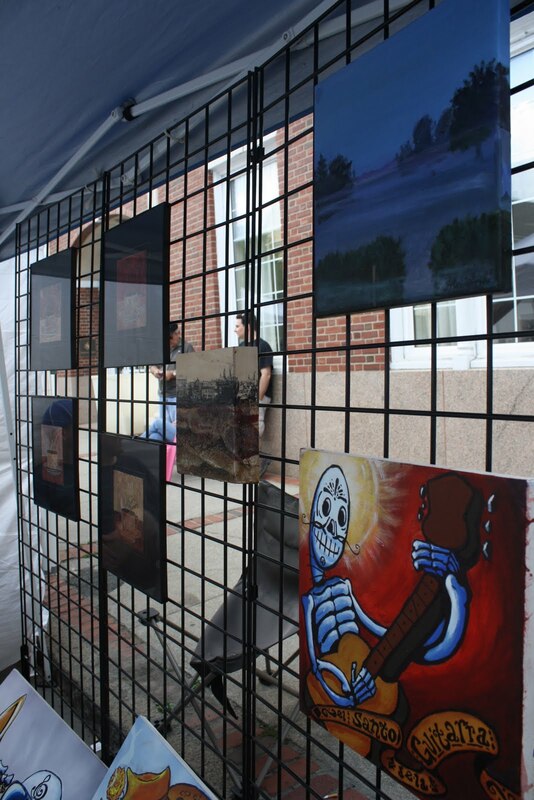 Thanks also to Beverly Main Streets for donating the booths and putting on such a great event! Next year Porter Mill will be holding an Open Studio event on the same day as Arts Fest. See you there!